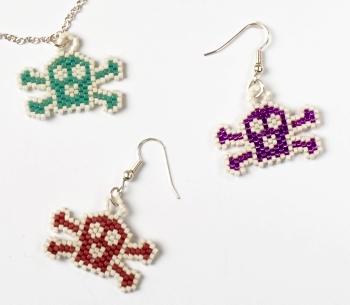 Combine the scary and the colourful with these beaded motifs. Inspired by a brooch I love, these earrings and pendant are wearable and quick to make and are ideal for the emo, goth or pirate in your life!. A basic knowledge of brick stitch is needed. This project was originally published in issue 13 of Bead magazine.